Have you noticed during pregnancy that your dental visits seem to increase? There is actually a good reason for that. During pregnancy you have a lot to worry about with appointments, purchases and preparations. One of the last things that you want to have to deal with is an emergency trip to the dentist. The first line of defense against tooth problems is to have a regular checkup and cleaning to be sure that if there are any issues they are taken care of quickly. Smile Reef has prepared this quick guide outlining what to expect from a visit with the dentist while pregnant. Gingivitis is one of the problems that can occur when pregnant. When a woman is pregnant the possibility that there is swelling is much higher. Gingivitis is swelling and tenderness in the gums and that can be from inflammation. There is not a lot that can be done to prevent this from happening but a dentist may recommend that more cleaning is done more often. Some dental work can wait for the baby to be delivered, but most problems need to be addressed and repaired before they become a much larger problem. Medication is often used either during or after dental work to ensure comfort and make sure that no infection sets in. The dentist can consult with the doctor on what kind of medications are okay for you to take. If you come across an emergency dental problem that needs immediate attention, the dentist may need to complete an X-ray. Even if there is a chance of pregnancy the technician will cover the stomach area with a leaded apron that will help to minimize the effects of the radiation that is emitted by the machine itself. The amount of radiation is very low, but the apron will be applied regardless. Another problem that pregnant women may have to deal with is called a pregnancy tumor. Don’t be alarmed! They are harmless and are non-cancerous growths that usually show up between teeth and can be uncomfortable. If you notice any of these growths you can contact your dentist who should be able to remove them. Smile Reef specializes in patient comfort and we go above and beyond to make sure all our patients are comfortable and are taken care of. 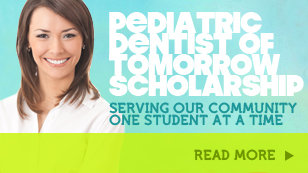 We believe that dental care should be started as early as possible. If you have any concerns about your dental care and you are pregnant we have experience and knowledge to answer all of your questions to assist in keeping you and your baby unharmed. And we look forward to baby’s first visit to the Smile Reef office in the first year they are born. Child bruxism, or teeth grinding, is a common habit among children and is usually first realized by parents who hear a strange noise from their child’s room after bedtime. Most parents are surprised when they realize the noise is coming from their child’s teeth grinding. It can be a loud gritting sound that echoes through the house while everyone else is trying to sleep. The most common age for bruxism in children is under eleven, and it is considered normal behavior. However, when bruxism causes severe tooth pain, wear and trouble sleeping then it is something that needs to addressed and not brushed aside as just a phase. Just like nail and cheek biting, teeth grinding can become a habit that requires no conscious effort. If the child is aware of the problem, they can effectively stop the bruxism throughout the day, but at night, it is impossible for them to consciously quit teeth grinding in their sleep. Bruxism can start as early as one year old when teeth have begun to grow in a child’s mouth. Bruxism is also more prevalent in children who snore during their sleep and children who breathe through their mouths while sleeping rather than their nose. Teeth that are worn down and damaged due to teeth grinding are more susceptible to cavities and tooth decay. If your child’s teeth have been considerably worn down, their nerve endings could be easily exposed to feel more pain and more sensitivity in their teeth. If your child is complaining from tooth pain, foods being too cold or too hot, this could be a result of bruxism, especially if you notice that their teeth are worn down. Soreness of the jaw is also an indication that your child may be struggling with bruxism. If not tended to promptly, child bruxism can lead to tooth fracture, tooth loosening and even loss of teeth. There are a few tips that will help your child to stop grinding his or her teeth. Try to decrease your child’s stress levels before bed time. Bruxism is often correlated with stress and even if your child is asleep, they will still feel the effects of anything that may be causing them stress. Try stretching exercises to relieve stress. Make sure that your child’s diet includes a healthy amount of water. Dehydration is also another common cause of bruxism. Older children may need temporary crowns to help with bruxism and in some cases a night guard is worn by a child to help protect their teeth. If you suspect that your child has a problem with teeth grinding, come in to Smile Reef for a checkup and we will assist you in protecting your child’s teeth and keeping them healthy and strong.